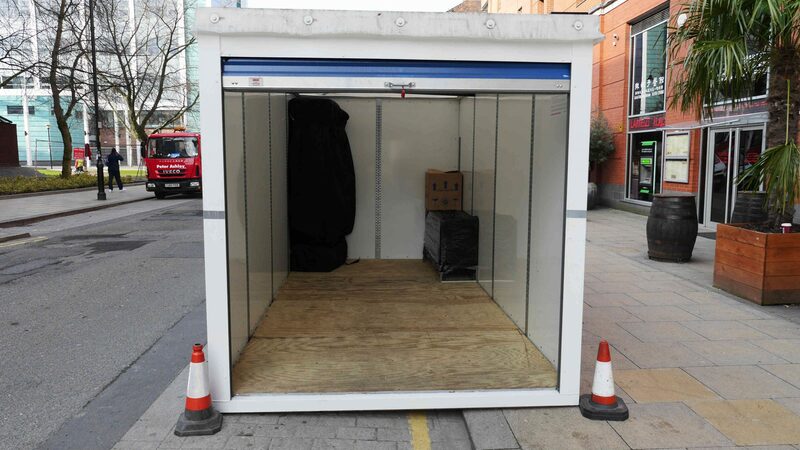 PODS - More Than Just Self Storage Containers For Hire. It’s inevitable really, but we’re often asked: “What is a PODS storage container and how does it differ from similar self storage containers?” Naturally, we’re keen to answer any questions about our services but it always feels a little like bragging when we say a PODS storage container is one of the most flexible and convenient self storage containers for hire on the planet. Boastful or not, that’s exactly what PODS storage containers are. And they’re much more too. So when you ask what is a PODS storage container, you can be sure it’s more than just a place to store your things. It’s also peace of mind, it reduces your effort and puts you firmly in control of your storage needs. What is a PODS self storage container made from? That’s an important thing to know! We’ve designed our storage units to be simple to use, super strong, easy to handle and, of course, we guarantee to keep your possessions in tip-top condition. They’re weatherproof. No, make that very weatherproof! We tested them to withstand up to 110 mph winds (when half full) with no issues whatsoever. Another great question and an important one. 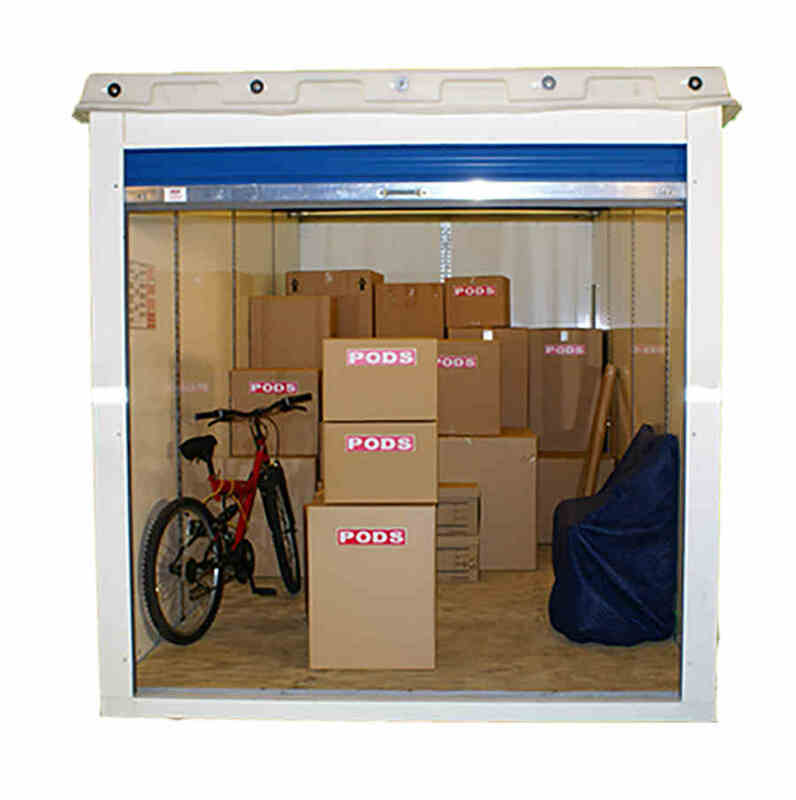 You can have a PODS self storage container at your premises or store it with us. In both cases, you can access your belongings 24/7. If you decide to have a PODS storage container at your place then you have an extra treat in store (excuse the pun) . You’ll get to see our amazing PODZilla lift system as we deliver or move your container. Wondering what PODzilla is? Of course you are! Well it’s definitely as awesome as it sounds. It ensures your PODS self storage container is kept absolutely level as we move it to its new location. PODZilla ensures your PODS storage container is kept level at all times, minimising the movement of your belongings. Have a look at this video to see how it works. Good eh? What is a PODS container’s security profile? PODS self storage containers are strong and secure by design, and as you use your own padlock and are the sole key holder you, and you only, will be able to access your things. If you need a good quality padlock speak to one of our team and we can give advice or provide one for you. 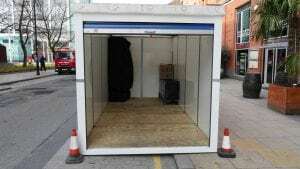 What is a PODS self storage container best for storing? Our containers are versatile and superb for any number of storage requirements from domestic goods or commercial stock and equipment. However, we ask you do not store items that are perishable, hazardous volatile or dangerous. We hope that we’ve answered all your questions regarding what is a PODS self storage container? It really is as simple as, we deliver it, you load it, and we move or store it. Knowing that, you’ll agree a PODS storage container is a unique solution designed to solve storage challenges whilst minimising fuss and effort on your part. So, if you are looking for self storage containers for hire contact our team today to find out how easily you can access a PODS storage container for your home or business. Alternatively, why not pop by to our offices and let us show you just how brilliant they are. We’ll be happy to see you!